SNASZZ Family Adventures: Is Deaf church different? I struggle with how to write this post as I don't want to come off as all knowing. I am far from an expert in Deaf culture. Even Nathanael would be more "qualified" to write this as he's taken Deaf culture classes for his interpretation degree. 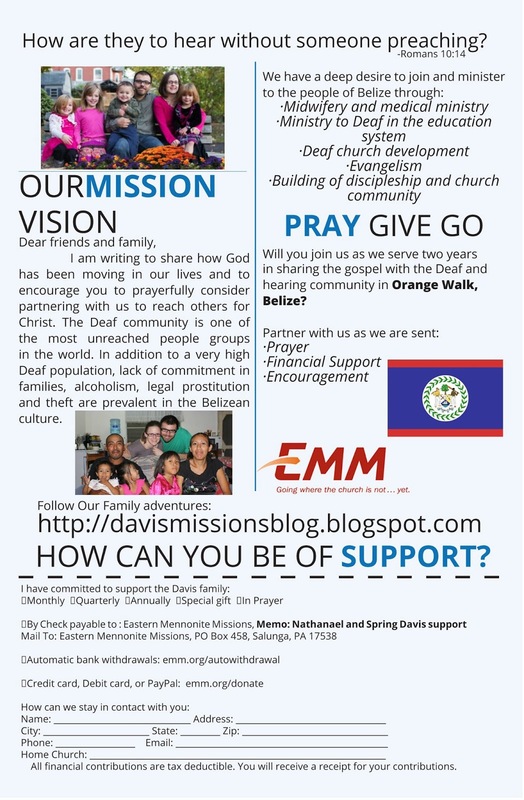 Let me then reiterate, this post is about me and my experience, perhaps to open your eyes to what Deaf church looks like. One of the first things you will notice when walking into any Deaf event is it seems quiet. People all around you may be talking, but there isn't much noise when talking is done with your hands. The call to worship looks similar. Growing up I was taught to bow my head and close my eyes. In Deaf church you don't close your eyes. (how would you know what they were signing?) It may seem silly but this was an adjustment. Years of indoctrination about what you do when you pray went out the window. It has been a learning experience for me! Worship is an interesting topic. 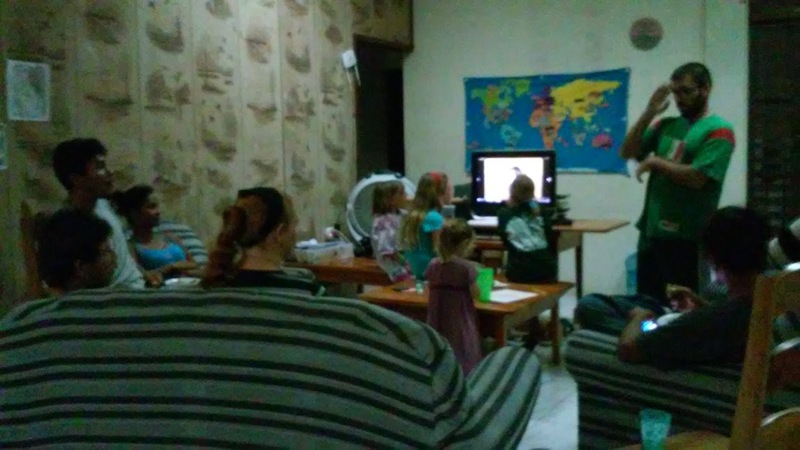 Last month we went as a Family to the Anabaptist Deaf Retreat at Laureville. I had started this blog post before going. I am glad that I waited until after the retreat was over to finish the post. It was really neat to be a part of the discussion relating to what Deaf worship looks like. Since I'm not an expert, I would sum it up by saying I don't think Deaf worship needs to look the same as it does in a hearing church. I also wanted to say that as a hearing person it is not a good idea to sit in front of or even near the speakers at Deaf church. Deaf people love to feel the music! Here is an example of Deaf worship I was introduced to this weekend. 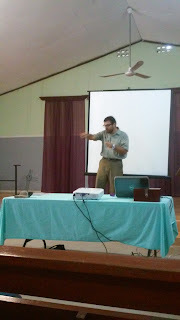 Sermons look very similar, minus the fact that it's in ASL. Since I am still learning ASL, it is darn near impossible for me to take notes. If I look down at the page, I loose words! While in Belize Nancy took a lot of time illustrating her sermons with pictures. I found this very helpful. Conclusion: Deaf church is similar to what I grew up with in some ways, and others very different. We worship the same God. It doesn't have to look like I expect.